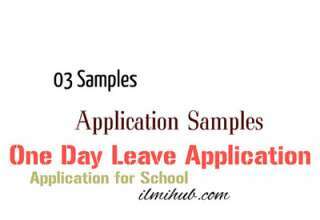 This post is for those who are searching for how to write School Leave application for my son or School Leave Letter for my son. 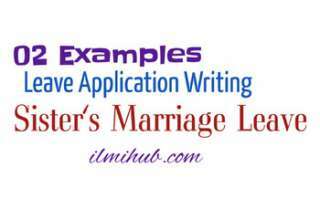 You can check 2 examples of applications, 1st is sick leave for son and 2nd is leave to attend a marriage ceremony. Leave Letter for my Daughter is also available. With due respect it is stated that my son Asad is studying in your school in Class 6th B, Roll No.31. He is not feeling well and cannot attend the class today. So, it is requested that he may kindly be granted one day leave for today. You may also like 2 Examples of Sick Leave to Principal by Parent. My son, Zohaib is a student of Class 4 (B section) in your school. He is unable to attend his class from 30.06.2018 to 09.07.2018 because we are going to visit our native place to attend a marriage ceremony. It is humbly requested, grant him leave for 10 days. Thanks in advance. 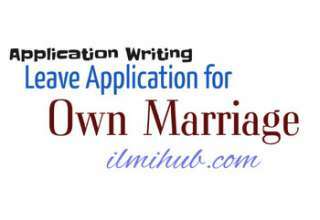 Also, Check examples of Application for Marriage Leave.